As individuals, we tend to have distinct management styles that fit with our personality or are based around the ethos of the business we work for. That doesn’t mean you can’t learn a thing or two from others in the business though. There are often valuable insights to be gathered from those operating outside of the hospitality industry too. You can have the best chef in the kitchen and amazing wait staff on the floor but the individual steering the helm and how they steer it is critical to a restaurant’s success. From making staff feel valued and getting the best out of them through to building rapport with clientele, there’s more to management than tracking profit margins. Add in developing trends and new technology and there’s always something new to learn in the world of restaurant management. Sometimes we get into bad habits, other times you take over a restaurant, inherit employees in the process and find changes are needed. Reading about the experiences of others can offer you a new perspective in these situations. Some of these books aren’t aimed solely at restaurant management but if they’re on the list, they’ve been recognized as key texts by the industry. They’re the kind of books that have made it on to the training programs of successful chain restaurants and are regularly passed between friends and colleagues. Originally published in 1936, this book isn’t specifically aimed at the hospitality industry or managers. However, the insight it provides into building successful working relationships and how to communicate effectively means it consistently makes its way on to restaurant manager’s recommended reading lists, and rightly so. 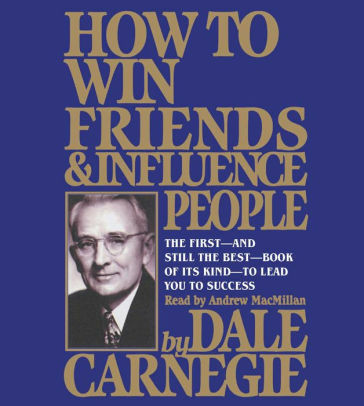 This book covers relevant topics such as how to win people around to your way of thinking, how to increase your influence and how to be a better salesmen, all of which are likely to be helpful when carrying out your job on a daily basis. From motivating your shop floor staff to managing back of house politics, this book provides some fantastic insights. Born in the US in 1888, Dale Carnegie was persuaded into publishing what turned out to be one of the best selling books of all time. The former salesman delivered self-improvement and salesmanship courses and one of his suitably impressed attendees suggested that he should turn his ideas into a book. The book has sold over 30 million copies worldwide and made it to number 19 on Time’s Magazine’s list of the 100 most influential books. Recognized as one of the best sellers within the service industry, Setting the Table is one of those books you’re likely to be passed by a colleague and you’ll want to recommend to those around you too. In it, Danny Myer, the head of a restaurant empire talks through lessons he learned on the way to the top and provides insights into effectively managing relationships with employees and providing service satisfaction to guests. Written as a memoir, this book shares his philosophy of ‘Enlightened Hospitality’ in a well-written and entertaining way. As the CEO/Founder of Union Square Hospitality Group and Shake Shack, American Danny Myers has enjoyed considerable success in the industry. He opened Union Square Café in 1985 aged 27. Along with direct insight into what makes a successful business, his years in hospitality have bestowed upon him great insights into the importance of relationships and providing customers with experiences, not just food. It’s great to be able to share a drink or meal and sit down and chat to other restaurant managers, chefs and owners who have been there and done that. You know, those who learned how to handle difficult situations or made similar mistakes to you along the way. Reading this book is like doing just that, you read the challenges and success stories of twenty different owners, providing practical insights that can be translated into changes for your own business. One of those featured in the book is Scott Leibfried from the popular show Hell’s Kitchen. 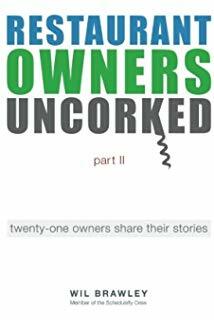 A part II to this book featuring twenty-one stories from restaurant owners was published in 2017. Will Brawley is a partner at Schedule-fly, a company that provides restaurant staff scheduling and communications software. The book is composed from interviews with some of the company’s customers. What led you into restaurant management? Do you love food? Perhaps you get a buzz from knowing you’ve helped a guest to celebrate a special occasion or that dining with you has lifted their day? Whatever your driver, you can’t ignore the importance of numbers. How many customers you get through the door, scores on restaurant review platforms and ultimately, how much money the restaurant makes are just some of the numbers that matter. 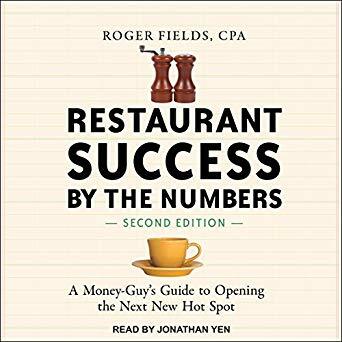 If you’re planning to open a restaurant or manage an existing business and need to sharpen your focus on the logistics of business and increase your bottom line, this book is a great place to start. Want to know more about the numbers at your restaurant? A great place to start is our menu engineering guide. 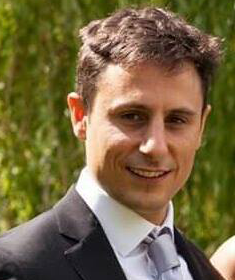 Roger Fields is an experienced restaurant owner and he’s also a qualified accountant and partner in a restaurant consultancy, so he understands the importance of numbers more than most. The title tells you it’s clearly pitched at helping you hone your restaurant management technique, but is it any cop? It’s onto its fourth edition and was also the winner of the Benjamin Franklin Book Award for Best Business Book of the Year 2003 alongside other prestigious awards. 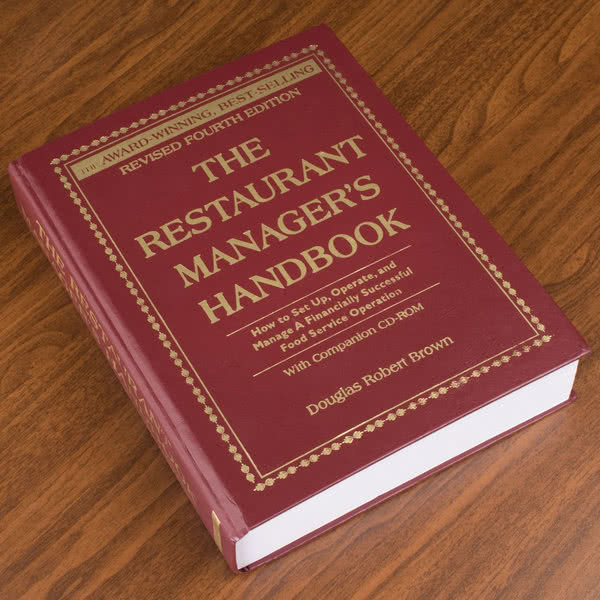 There’s a weighty 28 chapters and 800 pages covering the nitty gritty of everyday restaurant management and operational issues. From picking a venue and hiring staff to expanding into marketing, off-premises catering, food safety, floor planning and menu reworking – it’s all in here. And if you’re taking over the management of an established restaurant there are tips for that too. 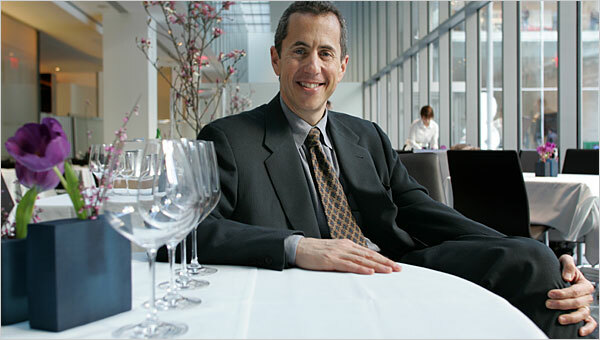 Born in America in 1960, Douglas R Brown has written on various food service and food management topics. His writing is informed by his career working in independent restaurants as well as branded chains. Having issues within your team? Is everyone pulling in different directions? Perhaps motivation is a problem or? 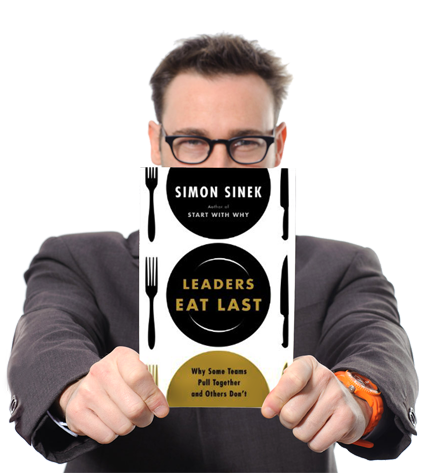 A general management book with tips and advice that can be applied to the restaurant industry, Leaders Eat Last is a New York Times bestseller. It details how to build trust and cooperation to create a winning team. British born Simon Sinek is the writer of multiple self-improvement books and is well known for his first book Start With Why which was the topic of his TEDTalk – a talk that happens to be the second most watched video on Ted.com. He is an ethnographer and lectures on strategic communications at Columbia University, New York. Hopefully this article has helped you to add a few titles to your to-read list. Do you have any other titles you’d recommend?